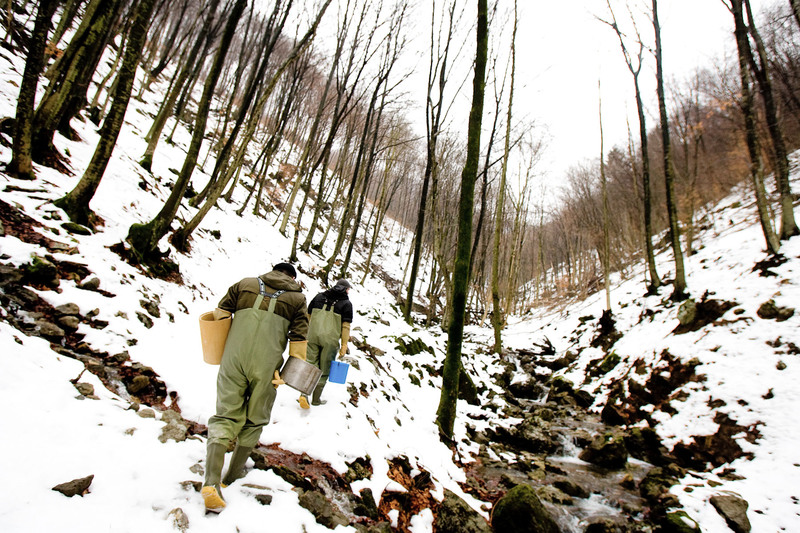 Fishkeepers hike up a gorge to insert eyed eggs into Martinkov potok. Martinkov potok is one of the newer streams that were cleared before pure Marble trout was introduced. They sweep it with a generator in spring and autumn at least three times, before they can be sure it is empty.